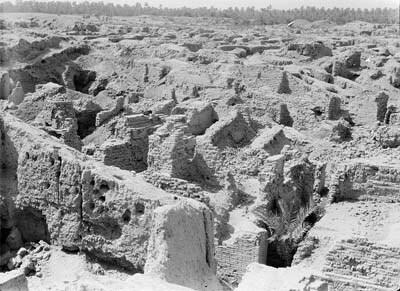 The Hanging Gardens of Babylon were one of the Seven Wonders of the Ancient World, and the only one whose location has not been definitely established. Fruits and flowers, Waterfalls, Gardens hanging from the palace terraces / Exotic animals, This is the picture of the Hanging Gardens of Babylon in most people’s minds. It may be surprising to know that they might have never existed except in Greek poets and historians imagination! Made of: Mud brick waterproofed with lead. Other: Some archeologists suggest that the actual location was not in Babylon, but 350 miles to the north in the city of Nineveh. 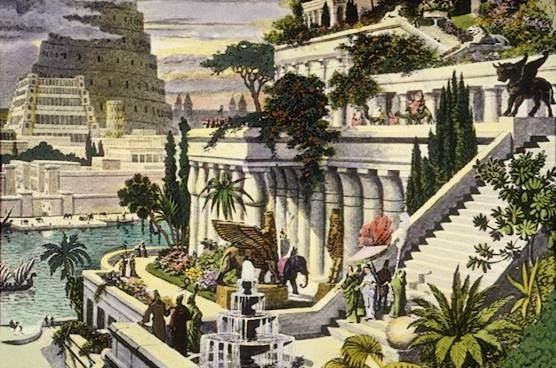 One legend says that the Hanging Gardens of Babylon were created by Emperor Nebuchadnezzar II, the king of Babylon, for his Persian wife, Queen Amytis, because she missed the green hills and valleys of her homeland. Emperor Nebuchadnezzar II also built a grand palace that came to be known as ‘The Marvel of the Mankind’. Because of the lack of evidence it has been suggested that the Hanging Gardens are purely legendary, and the descriptions found in ancient Greek and Roman writers including Strabo, Diodorus Siculus and Quintus Curtius Rufus represent a romantic ideal of an eastern garden. If it did indeed exist, it was destroyed sometime after first century AD. Alternatively, the original garden may have been a well-documented one that the Assyrian king Sennacherib (704-681 BC) built in his capital city of Nineveh on the River Tigris near the modern city of Mosul.